Places to camp and related activities within Siskiyou County, California. This page is provided as an index to assist you in locating some of the great camping places you will find located in Siskiyou County. Please click on each site of interest to view accurate pictures of the campgrounds, list of amenities, and general information as well as driving directions. It is hoped you will find this information helpful and enhance your stay in Siskiyou County. Please return or bookmark this blog as new information is added! ** Indicates that the campground is open year round if roads are accessible. Please also click the links on the right sidebar for things to do and see along the different routes! Please be sure you check to be sure there are no fires in the area you are planning to camp! Especially during the summer and fall! Also note that National Forest Service Campgrounds (NFS) are often seasonal only. Camping along the I-5 Corridor: From Dunsmuir, CA to the Oregon Border on Interstate 5, Siskiyou County, California. Lake Shastina Public Access near Weed, Ca (County) Free! Beaver Creek Campground (NFS) Free! Fort Goff Campground (NFS) Free! Pilgrim Creek Snowmobile Park and Campground Free! Dusty Campground (NFS, but operated by P. G. & E) Not in Siskiyou County, but nearby in Shasta County. Hat Creek Campground (NFS) Also not in Siskiyou County, but nearby with world class trout fishing. Camping in outlying Siskiyou County areas! Lover's Camp (NFS) in the Marble Mountain Wilderness Free! Bridge Flat Campground (NFS) along the Scott River Free! Shadow Creek Campground (NFS) along the Salmon River Free! Red Bank Public Camp (NFS) @ north fork of the Salmon River Free! Castle Lake in the high country, fully accessible by auto. Free! Only 10 miles from I-5! Gumboot Campground in the high country, accessible by auto. Free! Approximately 16 miles from I-5. Dispersed Camping in the National Forests:Much of the forest is available to dispersed camping. This is camping in areas that are not official campsites. To obtain information go to any Forest Ranger Station or stop in at the Klamath National Forest Headquarters in Yreka, California. While at a station pick up a California Campfire Permit while there ~ they are often good for the entire season and free of charge. Please check the National Forest website for information on "dispersed camping". We have a new camping vlog on YouTube and a website to accompany our vlog. We hope you will check it out! Welcome to Siskiyou County California Camping! You will find some great camping and places to overnight while traveling through Siskiyou County. 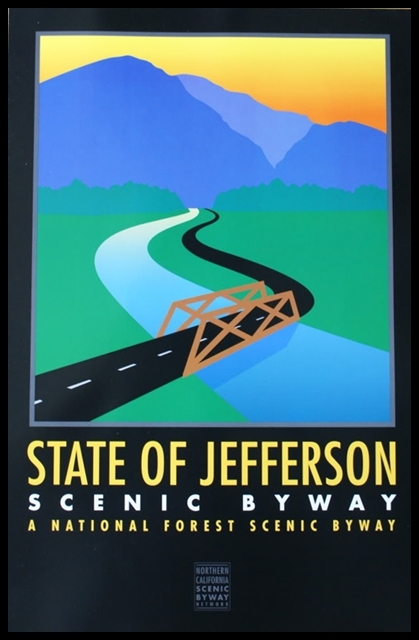 Stop and check out all the interesting things Siskiyou has to offer! Enjoy! Be sure to check out the listings in the different geographical areas, services for campers, and things to see and do! Things to do and see in Siskiyou County! See where you can purchase our books here. Free downloadable topo maps for the U.S.